The concentration of a leather bouquet exalted by surprising woody and spicy notes. A perfume for men that instills its essence since its first spray, it embodies the expression of the noblest essences in a perfect armony of charm and seduction. 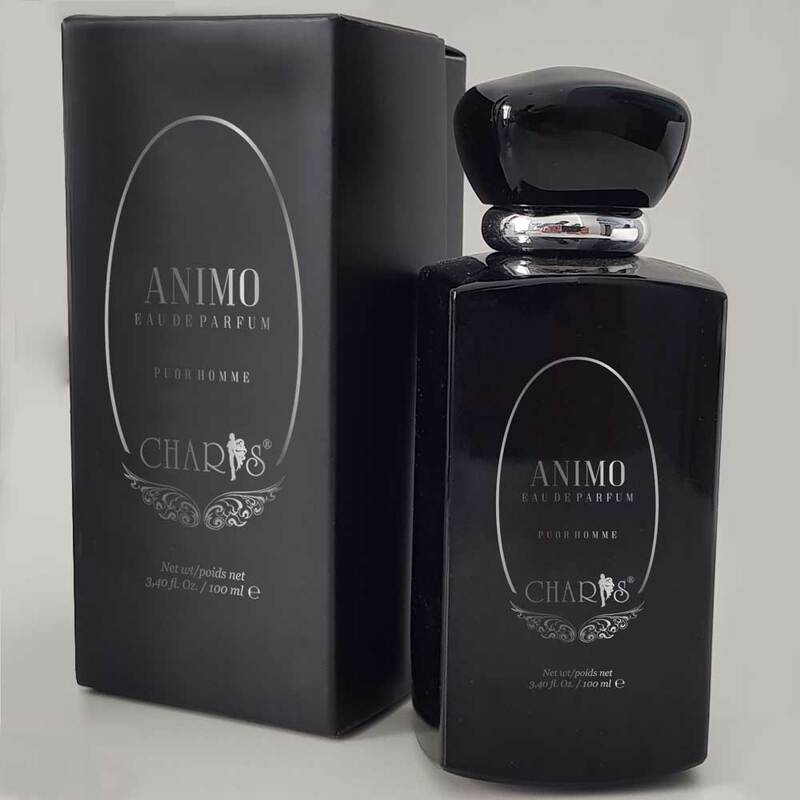 ANIMO by CHARIS Eau de Parfum puor Homme is proposed in an airless packaging that guarantees the hygene, avoids the product oxidation and preserve the active ingredients integrity. 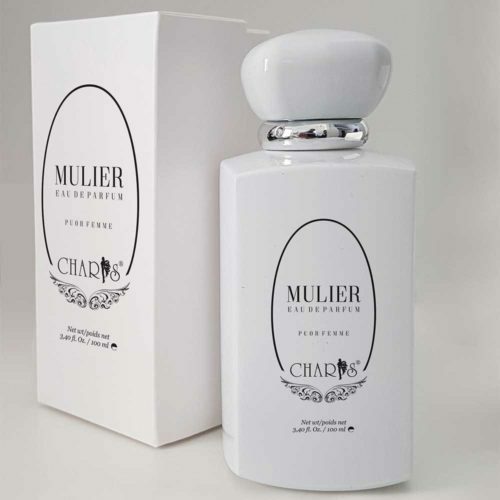 MULIER by CHARIS Eau de Parfum puor Homme, used by men aged between 30 and 70, it has spotted a great success and a constant fragrance that lasts all day long. 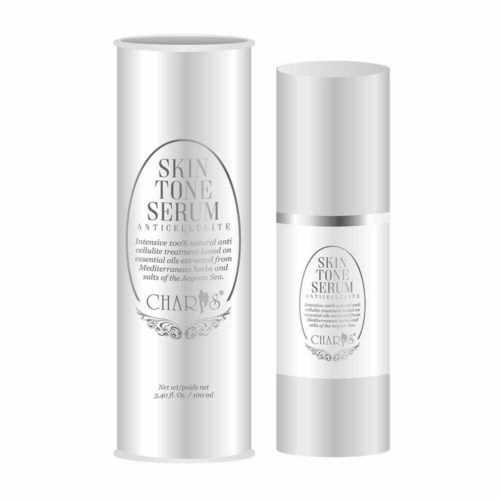 Spray ANIMO by CHARIS Eau de Parfum puor Homme, each time needed mantaining an about 20 cm distance from the cutaneous surface to optimise the covering of the area. 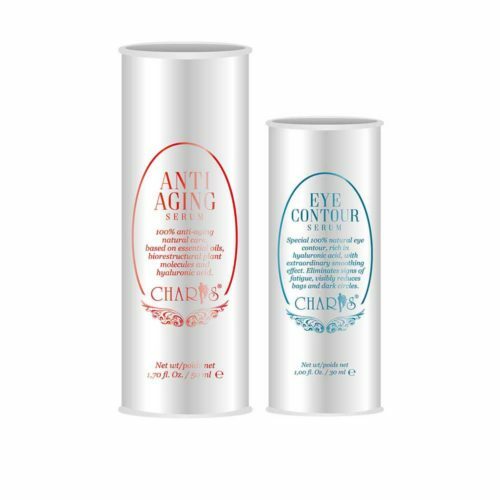 Alcohol denaturato “B”, Parfum-Aqua-bht, 5 – Acetyl-1.1.2.3.3.6 – hexamethylindan (Phantolide) – ahtn, Alpha-Iso-Methylionone-Amyl Cinnabal, Anise Alcohol – Benzyl Alcohol – Benzyl Benzoate – Benzyl Cinnamate – Benzyl Salycilate – Butylphenyl Methylpropional – Cinnamal – Cinnamyl Alcohol – Citral – Citronellol – Coumarin – Eugenol – Evernia – Furfuracea (Treemoss) – Famesol – Geraniol – Hexyl Cinnamal – Hydroxycitronellal – Hydroxyisohexyl 3-Cyclohexene – Carboxaldehyde – Isoeugenol – Limonene – Linalool – Methyl 2-nonynoate – Musk Ketone – p-tert- utyldihydrocinnamaldehyde – Rose Setone-Trans-2-Hexena 101.